Enter The Gungeon received its final update today in the form of A Farewell to Arms. This final update features a number of new items, weapons, characters, and an NPC to unlock. This guide will show you how to unlock the new NPC in Enter the Gungeon’s A Farewell to Arms update. 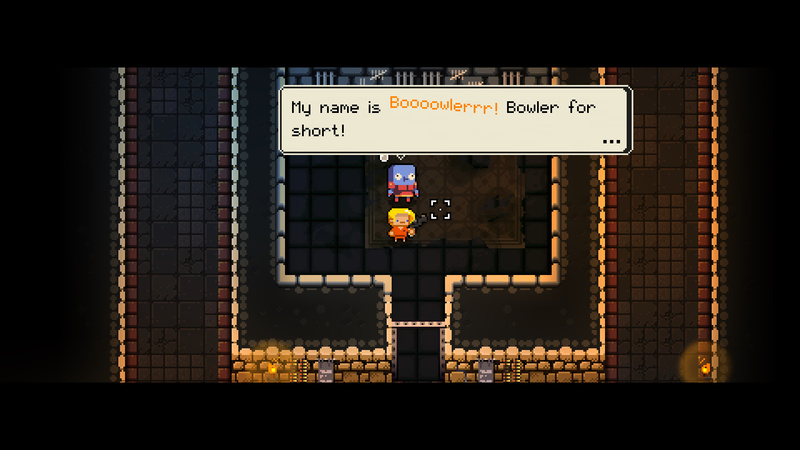 Note: Bowler is found in a cell the Gungeon like the other NPCs in the game. With the new update installed, start up a run and begin clearing floors. As you clear floors look for a cell. Inside the cell you may find the new NPC, Bowler. To unlock Bowler you will need to find the cell key. Cell keys can drop off of any random enemies including the floor boss. Once you’ve got the cell key, return to the cell with Bowler inside and free it. Upon freeing Bowler, speak with it and Bowler will head to the Breach. Once you have Bowler unlocked, speak with him in the challenge run room (to the right of the Gungeon main entrance. When you speak with him he will turn on Rainbow Run mode. 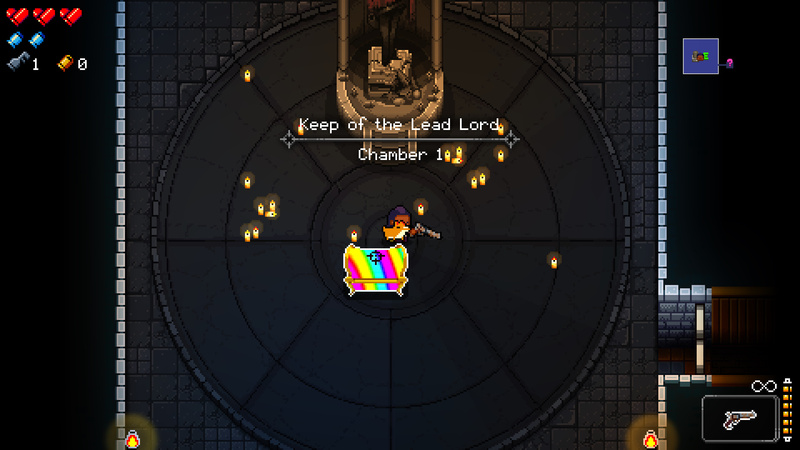 As the mode suggests, you start each floor with one Rainbow chest. From the chest you can pick one item. The rest of the floor you will get nothing else. That’s all there is to know about how to unlock the new NPC in Enter the Gungeon’s A Farewell To Arms update. Enjoy Bowler’s new Rainbow Run game mode! Check out our other guides on how to unlock the new characters and reach the secret level in the new A Farewell to Arms update. Thoughts on our how to unlock the new NPC in Enter the Gungeon’s A Farewell To Arms update guide? Drop them in The Pit below.